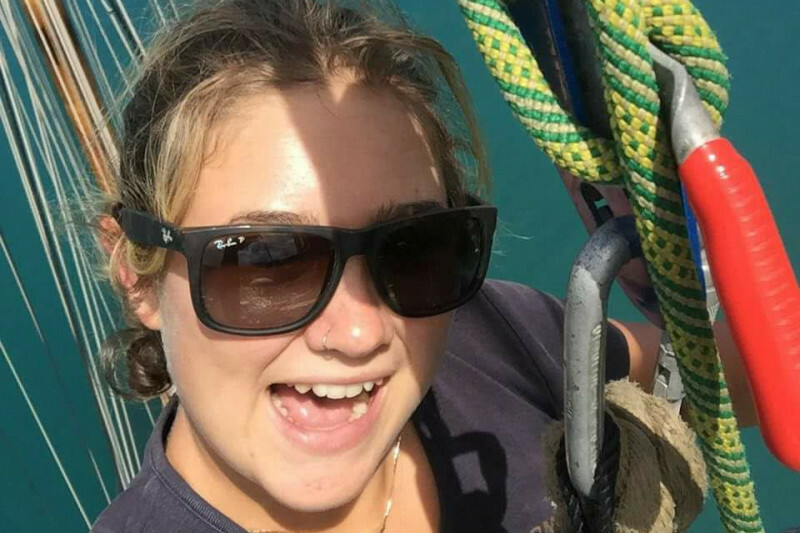 Bethany, beloved daughter of Sarah & David Smith, and sister to Bryn Smith, died tragically on Tuesday, March 14, 2017, when she fell off the mast of the vessel she had been working on over a year. She was 18-years-old. The purpose of this fund is to assist the family in meeting the major expenses resulting from this tragic event. Bethany passed away in Jamaica. Bethany's father, Dave, is working in the Netherlands. Her mother, Sarah, is in Trinidad and her brother, Bryn, is in Antigua. The costs of air fares, food and lodging to reunite the family on such short notice are staggering. In addition the family will incur the costs of burial. This family has suffered an unspeakable loss. This fund will help alleviate a portion of their financial stress, so they don't have to worry about the costs of being together to lay Bethany to rest. Bethany had been sailing the world with her family on the sailing vessel CAPE since she was a child. They had sailed from their home in Wales to the Mediterranean, Africa, and the Caribbean. In Gambia, they did humanitarian work, and Bethany continued that tradition by participating in relief efforts for the Caribbean Island of Dominica. Bethany will be remembered for being a generous person and "a ray of sunshine" who brought laughter and music into the lives of those she met. This memorial fund is going directly to the Smith family to help pay for the unexpected funeral costs and other financial challenges the family may face during this time. Please help in any way you can to ease the financial burden on this beloved family. We are getting ready to end this campaign and have suspended donations. To express your condolences to the family, please contact Sarah or David . Thank you all for your incredible support of the Smith family. Therefore, Sarah and David have asked me to serve as their recipient agent. As the organizer of this fund and a personal friend of the family, I will be withdrawing the funds they have requested on their behalf, and transferring the funds to their UK bank via wire transfer. Sarah and David have posted notices on their Facebook pages (see below) that this plan meets with their approval. If you, as a donor, have any concerns, please check their Facebook pages. Upon receipt of the funds in her US bank, Willie will be transferring the funds to our UK bank. Can't take this in...An amazing family. Cape has been in Trinidad for more than a year drying out prior to treatment. Dave has had to spend long periods away from them in order to keep things going. Any additional help for them to accomplish their repairs and get back to sea would no doubt go a long way now too. Being back on the sea may help them to heal. Kind regards to everyone. We are shocked and saddened by the death of this beautiful, bright, loving young woman. Our hearts go out to Dave, Sarah and Bryn. Such tragic and sad time for Spray's crew. Hope you can find solace back on the water before too long. Bethany will,always be missed but her spirit is on the sea. With fond memories of time spent together helping others and our offer of sincere condolences to Bethany's family. From the members of the Rotary Club of Portsmouth, Dominica.